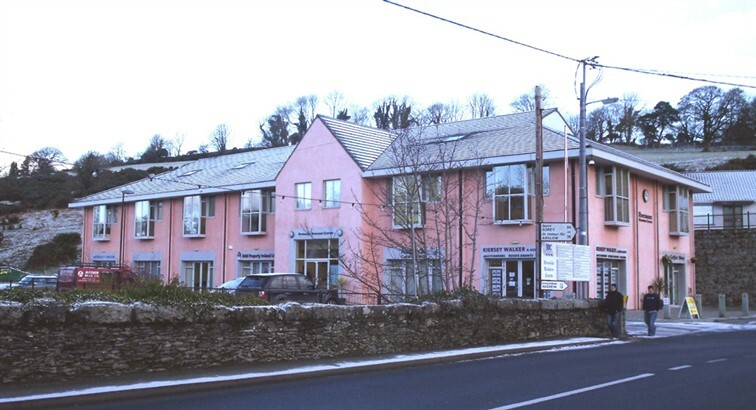 The Riverside Business Centre is located in the heart of Tinahely, Co. Wicklow. Developed in 2006 to promote the development of small- and medium-sized local and national industry and enterprise in South Wicklow, Carlow and beyond, the centre is situated on the main approach road to the town and is highly visible to passing traffic. The Riverside Business Centre comprises 20 separate units totalling 14,000 sq. feet of floor space and is an ideal base for new start up-businesses and small enterprises or individuals currently working from home who now require more formal business premises. Most of the units have been purchased by local business people. The Riverside Business Centre offers ample free car parking for visitors to the Centre and the facilities, which include D’lish Coffee Shop, and New U Hair and Beauty Salon. The Centre also offers a variety of shared services available to all occupants such as spacious lobby areas, toilets and recreational areas, wheelchair access and trendy, modern offices within a comfortable setting. The setting of the Riverside Business Centre would be the envy of any such centre anywhere, being just a short stroll from the town centre, fronting the Derry River, close to the Old Mill and boasting scenic views of the beautiful local countryside. Below you will find details of all the businesses in the Riverside Business Centre. RIVERSIDE ART GALLERY. The gallery is based in the Riverside Business Centre. The gallery contains a fine collection of Irish Art which shall be on display for several months after which time an art auction shall take place. There are a variety of styles on display for sale and auction; contemporary art, oil painting and water colour. TINAHELY CREDIT UNION. Unit 1, Riverside Business Centre, Tinahely. Opening Hours: Thursday Evening 7pm – 9pm, Friday Morning 10am – 1pm and Friday Evening 6.30pm – 9pm. Providing loans for regular savers for home improvements, holidays, education, car purchases etc. Kiersey Walker Estates Agents, Auctioneers, Valuers and BER Assessors provide a dynamic team of experienced professionals that are ready to meet your every property need. They are members of the Irish Property and Valuers Institute (I.P.A.V.). They aim to give our customers the best value service in the market place, by maximising your property’s potential and minimising your selling costs. If you are interested in buying or selling properties in Counties Wicklow, Carlow or Wexford, then please do not hesitate to contact them. GILLICK AND SMITHWICK SOLICITORS. Unit 11. Contact: Lorraine Gillick Tel. 0402 28759. A recently established firm based in the Riverside Business Centre, we can cater for all your legal needs in a professional manner with attention to detail. We can arrange appointments at a time convenient for you. Contacts us for a no obligation free quotation today. RTJ Construction Ltd carries out all types of Civil Engineering and Building Work including groundworks, drainage, roadworks, general building and site development. We carry out Public Tender Contracts for the local and statutory authorities as well as private contracts. Recently we have carried out numerous school projects for the Department of Education. We are pleased to be associated as main developers with the Riverside Business Centre.